This following is a guest-post from Fredrik M Sjoberg, a Postdoctoral Scholar at Columbia University. The country of Georgia experienced something unique last Monday. The incumbent President conceded defeat in the parliamentary elections. This is the first time ever anywhere in South Caucasus or Central Asia that this happens. Georgia showed that it clearly wants to distance itself from its post-Soviet neighbours where election fraud is widespread. How different were these elections in terms of precinct level dynamics? Now that the Central Election Commission (CEC) has published the precinct level electoral returns we can use fraud forensics to look for irregularities. Note that it took the CEC relatively long to publish the data, after first claiming that its website was under a Denial-of-service attack (see article). The data used here is based on a download from the official results as of 6pm (EDT) Tuesday October 2, when 92 percent of the precinct level results were in. First, examining indications of outright fabrication we note a suspicious deviation from the expected uniform distribution. In the absence of manipulation of vote totals the last digit should follow a uniform distribution of 10 percent in each of the 0-9 digit categories (Beber & Scacco, 2012). The deviation from uniform is significant at the 5 percent level. This is not to say that the results were fabricated, but it does call for more research. Note that none of the major election observation organizations, domestic or international, reported widespread vote-count fraud. 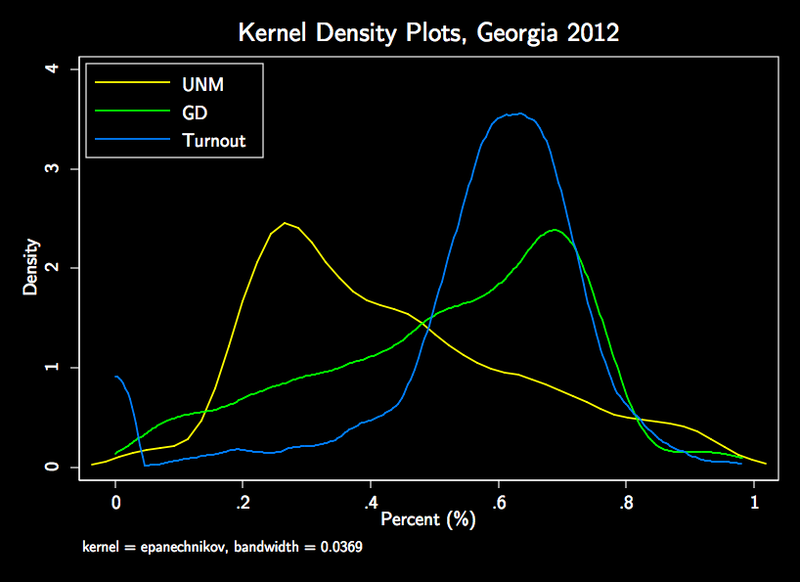 Second, a kernel density plot can also be used as an indication of fraud (Hyde, 2007). A Kernel plot is a non-parametric estimation of the probability density function of a random variable. Such a smoothing of the distribution helps us spot irregularities compared with the expected normal distribution. 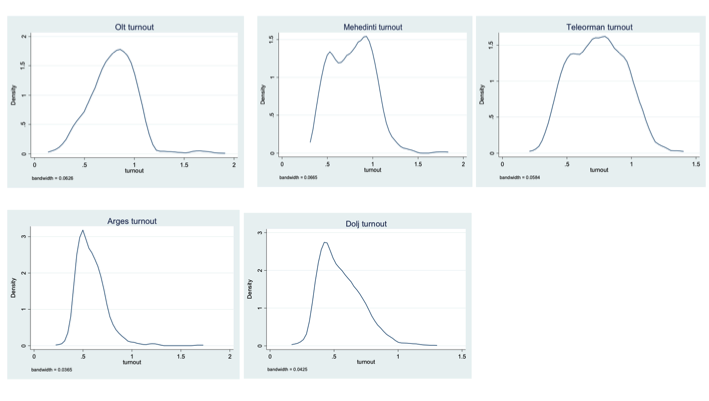 Examining the plots visually reveal no ‘unnatural’ humps at the right-hand tail as we would expect if there was ballot stuffing, or other blatant forms of fraud, that would benefit one party (or increase turnout). Finally, let me just illustrate how the support of the opposition is distributed spatially. Georgian Dream, the party led by the billionaire Bidzina Ivanishvili, performed very well and especially so in the proportional component of the mixed electoral system. A map of the support indicates that support was spread out over the whole territory. No doubt there will be a lot more interesting analyses coming out in the next few days. 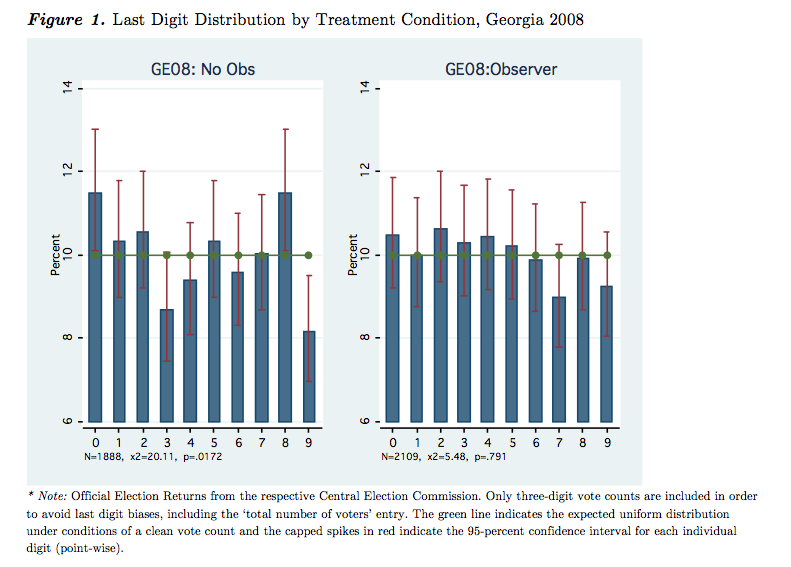 In the meantime, for a field experiment examining election fraud in the preceding Georgian parliamentary elections in 2008, see the paper Making Voters Count: Evidence from Field Experiments about the Efficacy of Domestic Election Observation. 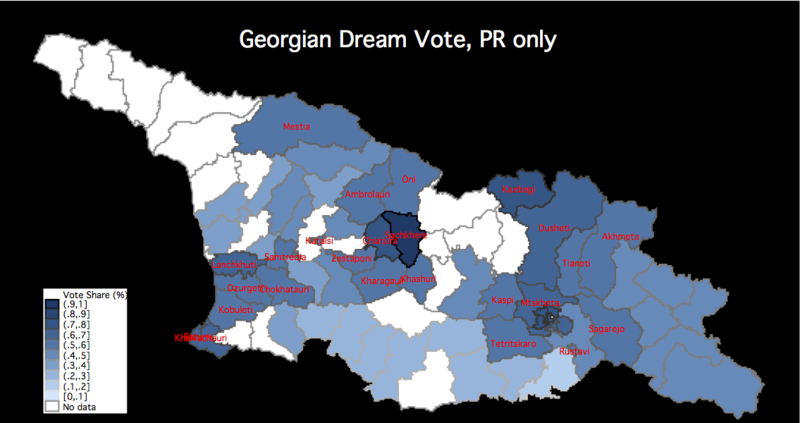 The following is a guest post from Princeton political scientist Grigore Pop-Eleches on recent political developments in Romania that culminated in a referendum to confirm the impeachment of the president. The material is particularly timely, as the Romanian Constitutional Court is currently hearing challenges to the results of this referendum on the basis of electoral fraud. Although the post is a bit longer than our normal posts, I strongly urge readers with any experience in using analytical techniques to detect electoral fraud to read the post through to the end, and, if you have any thoughts, to either leave them in the comments section or to contact Pop-Eleches directly. Over the past five months, Romania has undergone what has arguably been the most serious political crisis since the miners’ strikes of the early 1990s. Whether or not one wants to go as far as calling it a constitutional coup d’etat, the government of PM Victor Ponta has used its newly established parliamentary majority to launch a massive attack on the political institutions that were not yet under its control, particularly the Presidency and the Constitutional Court. While the details and democratic implications of these moves have been discussed widely in the international press – for a good overview see Kim Scheppele’s posts on Paul Krugman’s NYT blog (here and here) – in this blog post I want to focus on one of the crucial elements of this political strategy: the referendum to confirm the impeachment of President Traian Basescu, which was voted by a wide parliamentary majority on July 6, 2012, and took place on July 29. In order to validate Basescu’s impeachment, the referendum needed to fulfill two conditions: a turnout of 50%+1 of registered voters and a majority of yes-votes among voters to the referendum question: “Do you agree with the dismissal of the President of Romania Mr Traian Băsescu?” After initially trying to get rid of the 50% turnout requirement (despite a ruling by the Constitutional Court that such a change would be unconstitutional), the Ponta government caved in to EU pressure and stuck with the 50% turnout rule. Given that public opinion polls suggested that roughly two thirds of likely voters would support the dismissal, it quickly became clear that the crucial question would be whether the government would succeed in getting 50% of voters to show up on Election Day. Consequently, Basescu reversed his initial plea for voters to turn out and vote no, and instead endorsed the rational strategy of encouraging his supporters to stay home in order to deprive the referendum of its 50% quorum. In the end, on August 1 the Romanian Electoral Commission announced a turnout of 46.24% with 87.6% of those voting answering “yes”. Given that this turnout was clearly short of the 50% threshold, most observers expected the Constitutional Court decision on whether the referendum should be validated to be a mere formality. However, the Ponta government made a surprise move in that it decided to contest the results of the referendum before the Constitutional Court, which decided to postpone the final decision about the referendum validation until September 12 (though it was later moved up to August 31). The Romanian government motivated its injunction by claiming that the electoral lists overstate the number of eligible voters, because they do not accurately reflect the number of deaths and the numbers of Romanians living abroad whose citizenship has lapsed (Romanians have the right to vote abroad as long they have not given up citizenship and their papers have not expired). While it is probably true that Romanian electoral rolls are in need of updating, this decision is bizarre for at least two reasons: First, the government is trying to change the denominator to the turnout calculation post facto, which to the best of my knowledge is unprecedented (at least in democratic countries) and is particularly odd because the government had organized the referendum and issued self-congratulatory statements about how well it had been organized. Second, the government is trying to use the data from the 2011 census to contest the electoral lists, even though one of the two main parties in the governing coalition, the ex-communist Social Democratic Party (PSD), had previously tried to boycott the census and has since questioned its accuracy. The government even went as far as to try to conduct a new “mini-census” by instructing local mayors to get a sense of the number of people living in their towns, but seems to have backed away from this effort after a the Constitutional Court made it clear that it had not asked for such a measure and after the Interior Minister resigned citing undue pressures on his office. However, it is unclear what the government will try next, and the Constitutional Court has complained for the second time to the Venice Commission about the political pressures bent on undermining its independence. There are three main ways that electoral fraud can happen in the Romanian context. First, there could be outright ballot-stuffing at the polling station, and while a number of incidents of this kind were reported in the Romanian press, the presence of opposition observers at most polling stations should have limited the magnitude of this particular method. Second, since Romania has no centralized system to detect double voting, it is possible for citizens to engage in multiple voting by voting at different polling stations on Election Day. Such “electoral tourism” has traditionally been organized by political parties of all stripes (who will bus supporters around), but this time around its utility was limited to opponents of Mr. Basescu, i.e. largely the governing USL coalition and its smaller allies. Third, local authorities intent on falsifying the ballot could use the mobile urn method to boost turnout. The mobile urn, which is intended for voters who cannot physically get to the polling station on voting day, offers an opportunity to avoid the watchful eye of polling station observers. Traditionally – up to the local elections that took place in June 2012 – it would have been possible to detect evidence for both of the latter two options through the data reported by the Central Electoral Commission, which reported for each polling station the number of voters on supplementary voting lists (i.e. who were not on permanent voting lists at that polling station) and the number of votes cast through mobile urn. However, just prior to the referendum, the Romanian government passed ordinance #41 that modified the law governing the reporting requirements of polling stations and eliminated the reporting requirement for the supplementary lists and mobile urns! Not surprisingly, the opposition immediately decried the change as an invitation to electoral fraud. Given this situation, the question is how one would go about establishing whether electoral fraud took place and what its likely magnitude was. In addition to the intentional scarcity of data about the composition of the local vote, the task is complicated by the fact that many of the traditional diagnostics used in traditional elections don’t easily translate to the referendum situation. 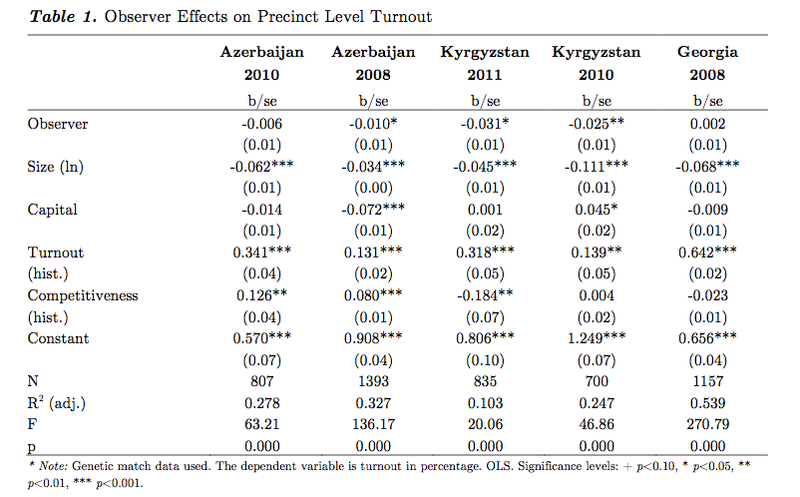 Thus, the correlation between turnout and the vote share of the winner, which might catch ballot-stuffing efforts of dominant parties such as United Russia, is unlikely to work in the context of a referendum, where the rational strategy of would-be cheaters could well be to add a mix of yes and no ballots in order to drive up the turnout (since the share of the yes-vote was not the main concern). Another option would be to compare the polling-station reported turnout levels to the normal distribution, which is generally assumed to hold in free and fair elections, may not hold in the context of this referendum, where the dominant strategy of part of the electorate would be to avoid voting altogether. This issue is complicated by the fact that in some places – including in Sibiu, from where I am writing this post – voters received fake mailings and text messages, purportedly written on behalf of the pro-Basescu camp, in which they were encouraged to go vote against the suspension. 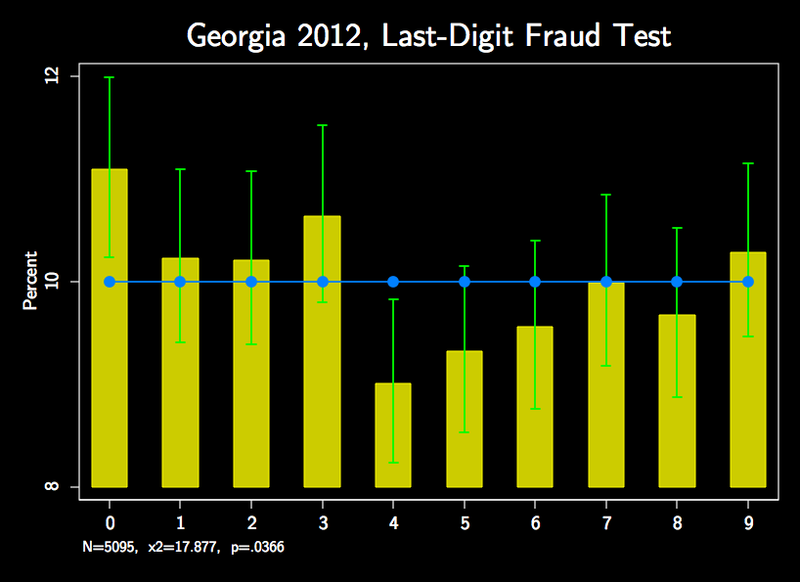 Thus, the national-level turnout figures are not normally distributed but they do not display the sorts of abnormalities that were seen as evidence of fraud in the Russian case (see Scott Gehlbach’s post on Monkeycage). However, things get more interesting when we look at the subnational level. As can be seen in this map of turnout by county, turnout was well above average in the southern part of the country and low in Transylvania, and particularly in the counties with high Hungarian population shares. But while these overall patterns are not surprising, because the South has traditionally been more supportive of Mr. Ponta’s ex-communist PSD party and voted in lower numbers for Mr. Basescu in the 2009 presidential elections, what is striking is the very high turnout in three of the southern counties: Olt (73.9%) Teleorman (70.2%) and Mehedinti (69.2%), where turnout was between 15-20% higher than even in the neighboring Southern counties. Things get even stranger when we compare the distribution of turnout at the polling station level for the different counties. 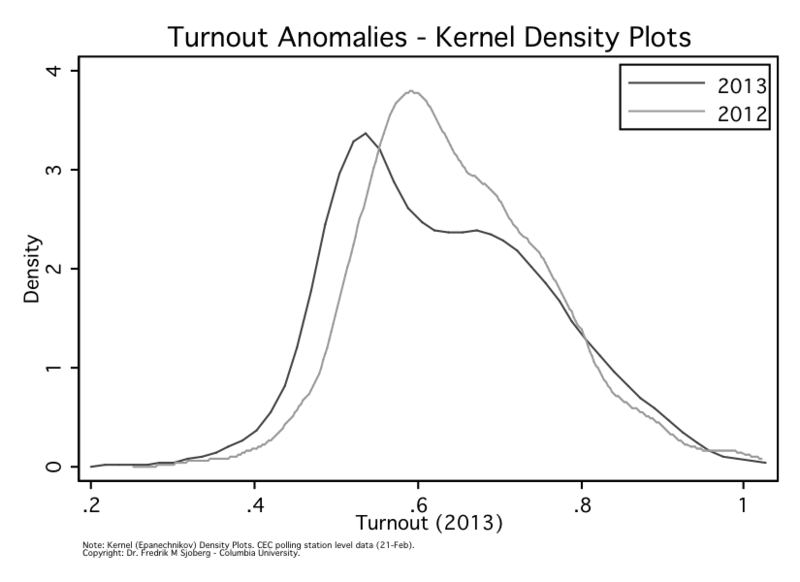 Thus, whereas, in other Southern counties, such as Arges and Dolj, turnout frequencies resembled the national pattern, in the three Southern outliers the distributions peaked at much higher levels and then dropped off quite sharply. Furthermore, whereas in Arges and Dolj only about 5% of polling stations reporting turnout above 85%, in Olt over 40% of polling stations were above 85% and over 15% of polling stations with at least fifty registered voters reported turnout above 100%! 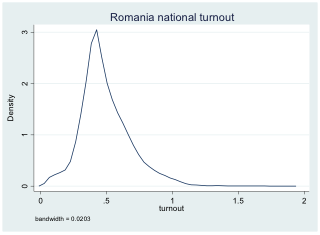 The reason why such turnout figures are even mathematically possible, is that Romania’s electoral law allows voters in national elections who are out of town on voting day to vote at any polling station (in Romania or abroad) by just presenting a valid national ID or passport. As a result, in some of the polling stations that were set up in tourist areas – and not surprisingly the Romanian government did its best to set up as many as possible, including in restaurants and hotels on the Black Sea Coast – it was not uncommon to observe turnout rates of 200-300% (including 10 polling stations above 1000% turnout). Such tourist-targeting voting stations may of course be vulnerable to multiple votes and while the total number of such stations was limited, polling stations with turnout above 200% accounted for about 135,000 votes or about .75% of registered voters. The even more important concern are the roughly 366,000 voters (2% of registered voters) who voted in the 657 polling stations reporting between 90-200% turnout, especially given that many of these are in small villages that do not represent obvious tourist destinations (except perhaps of the electoral variety). Remarkably, more than half (56%) of the votes in this latter category came from the three Southern counties – Olt, Teleorman, and Mehedinti – even though the three counties accounted for only 5.3% of registered voters. However, this obviously does not mean that fraud occurred in all of these high turnout polling stations or that it was limited to them (see e.g. the 50% “bump” in Mehedinti, which resembles patterns in Russia). As I mentioned at the outset, I would appreciate any suggestions about strategies to go about this – especially if it could lead to some results before the Constitutional Court’s decision on August 31st. Having read Alberto Simpser’s post titled “Could the PRI have bought its electoral result in the 2012 Mexican election? Probably Not.”, I was a little puzzled by the number (3.2 million) he uses for the minimum number of votes that PRI needed to buy to get the election results they did. I am an expert neither on Mexican politics nor on elections so I wanted to join the conversation on this subject. It seems to me that this number lies somewhere between 1.6 and 6.4 million. Let me explain why. Now we know that PRI received 3.2 million more votes than PRD. 1. Without any bribes, PRD would have received 3.2 million more votes than PRI. 2. PRI targets 3.2 million PRD voters who change their votes to PRI. 2. PRI targets 6.4 million voters who would have stayed home or would have voted for a third party, so they vote for PRI because of the bribe. 1. Without any bribes, PRD would have received the same number of votes as the PRI. 2. PRI targets 3.2 million voters who would have stayed home or would have voted for a third party, and they vote for PRI because of the bribe. 2. 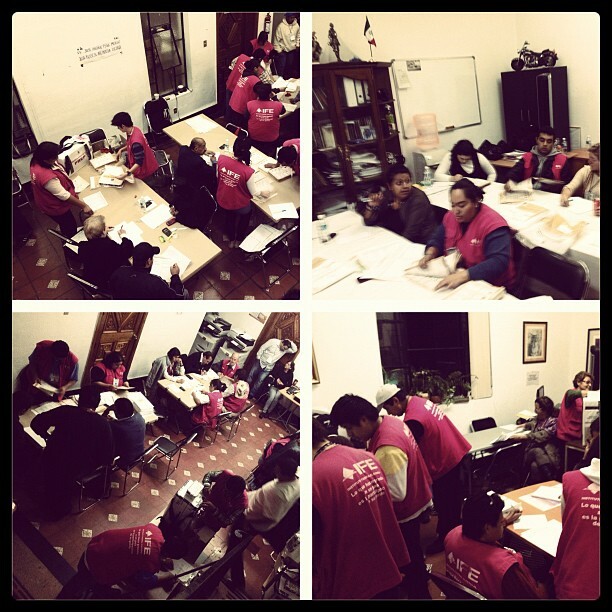 PRI targets 1.6 million PRD voters who change their votes to PRI. So, depending on these two factors, the minimum number of voters needed to be bribed fluctuates between 1.6 and 6.4 million. And as scenarios three and four illustrate, if we assume that clean elections were close, and if PRI targeted both groups (those who would have voted for PRD and those who would have stayed home or voted for a third party) and succeeded, then the number would be somewhere between 1.6 and 3.2 million. If they targeted only those who would have stayed home or voted for a third party, the number would be 3.2 million. As I understand from Alberto Simpser’s response to one of the comments on the figure of 16 % he uses for vote-buying effectiveness, PRI has likely targeted both groups although some scholars object to the idea of parties bribing partisans of their rivals. But the bottom line is, as far as I can see, the right number for voters bribed that should be used for calculating the lowest possible cost of buying the elections should be 1.6 million, not 3.2 million. This obviously changes our estimate of the total cost of buying the election. With the lower bound of 1.6 million rather than 3.2 million, and using the figures that Simpser uses in the post for the cost of buying votes (700 pesos) and its effectiveness (16 %), the total estimated cost of stealing the election becomes half a billion dollars. At 100 % effectiveness, the estimated cost becomes 1,120 million pesos which is less than the total campaign funding of PRI-PVEM coalition as reported by Simpser (1,390 million pesos). Therefore, this analysis makes me reach the conclusion that if the result of a clean election was close between PRI and PRD, and if PRI focused heavily on potential PRD voters effectively (to me as a total outsider, this seems consistent with the image of the PRI’s fraud “machinery” used by some commentators), then the total cost of buying the elections was less than the total campaign funding of PRI-PVEM, and PRI buying the election results in 2012 becomes less improbable. Could the PRI have bought its electoral result in the 2012 Mexican election? Probably Not. The following is a guest post from University of Chicago political scientist Alberto Simpser. 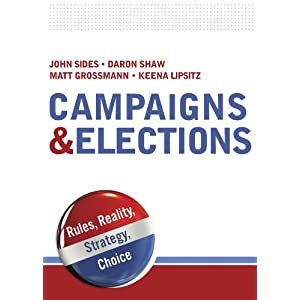 The first chapter of his forthcoming book, Why Governments and Parties Manipulate Elections: Theory, Practice, and Implications, can be found here. The PRI won the presidency in the July 1st Mexican election, but the dust has not settled yet (see Marco A. Morales’s excellent post on this). Given the safeguards in place and the electoral commission’s (IFE) stewardship, election fraud almost certainly did not occur on a large scale. Vote buying, however, apparently did, as numerous media reports and YouTube videos suggest. 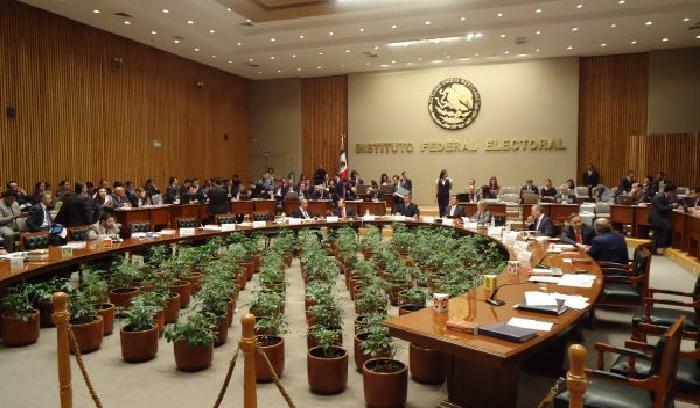 A serious allegation is circulating: that the PRI in fact would have lost a clean election to the runner up, the PRD’s Andrés Manuel López Obrador (AMLO), and that its electoral result stemmed from massive vote buying. I have no evidence about whether this allegation is in fact true. Rather, in this note I explore the plausibility of the accusation by estimating how much money it would have cost the PRI to obtain the result it did. The credibility of the ensuing estimates, of course, depends on the solidity of the underlying assumptions. By clarifying my assumptions, I hope to spark informed debate on the question. I use three pieces of information: the number of votes that the PRI would have needed to buy in order to obtain the result it did, the effectiveness of vote buying (i.e. the rate at which vote buying attempts translate into actual votes), and the cost per vote. I leave out other potentially important factors, such as payments to vote brokers and embezzlement of funds by these brokers. The PRI obtained about 3.2 million votes more than the PRD (equivalent to about 6.5% of cast votes). Because the PRD could also have bought votes, as some have alleged it did, this figure is a lower bound on the amount of votes that the PRI would have needed to buy in order to upend the election outcome (assuming, for simplicity, that no other forms of vote manipulation were used). The effectiveness of vote buying depends on a variety of factors. For one thing, ballot secrecy means that many citizens can take the money and vote their conscience. 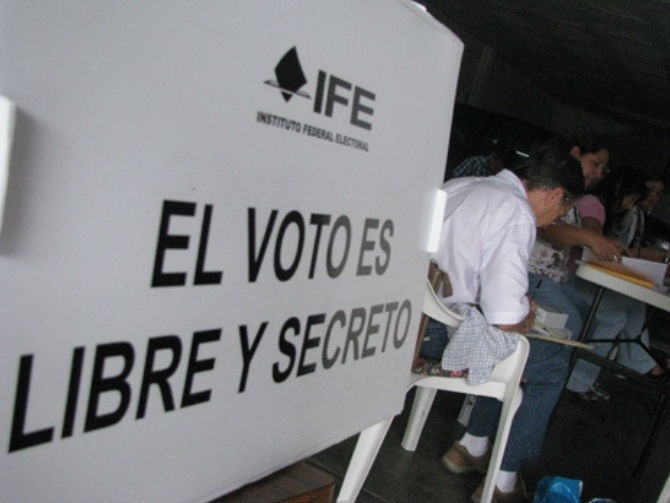 The PRI is alleged to have violated ballot secrecy through the use of cell phone pictures, as well as children who allegedly accompanied voters into the booth; but it is unlikely to have been able to verify every single vote it bought. Effectiveness also depends on the counterfactual scenario: whether and how the bribe recipient would have voted in the absence of a bribe. Even with perfect observability and enforcement, it is possible to waste a bribe on a PRI loyalist who planned to vote anyway. I do not have data on effectiveness for Mexico, so I use an estimate from the literature, based on a survey of Argentinean citizens in 2000-2001 (Brusco, Nazareno and Stokes 2004). Only 16% of surveyed citizens who received a bribe said that it influenced their vote. There exist additional factors that could impact effectiveness, such as embezzlement by brokers. I ignore those in my calculations here (Wang and Kurzman 2007 estimate money “leakage” in a 1993 Taiwan election at upwards of 45%). Estimates of the cost per vote bought range from 100 to 1,800 pesos. A YouTube video suggests that 100 was low enough to insult the recipient, while 1,800 (a figure implied in recent allegations by AMLO about the amount of money spent and the number of votes bought by the PRI in the state of Mexico) was substantially more than at least some brokers appear to have received for their services. I use 700 pesos, reported on some internet videos, as my best guess (as a point of comparison, a study of the 2000 Mexican election suggests a price per vote of 250 to 500 pesos). Based on these assumptions, the estimated cost to the PRI of stealing the election through vote buying is 3.2 million actual votes * 700 pesos per vote bought / 16% actual votes per vote bought = 14,000 million pesos approximately (roughly equivalent to USD $1 billion). This is an underestimate insofar as it leaves out brokerage costs and assumes that the PRD bought zero votes. It is an overestimate insofar as vote-buying effectiveness was greater than I have assumed, or if the price per vote figure is too high. At 100% effectiveness, the estimate is 3.2 * 700 = 2,240 million pesos. What do costs of this magnitude imply? As a point of comparison, the total campaign funding of the PRI-PVEM coalition was about 1,390 million pesos (according to Alianza Cívica’s July 3 press bulletin), far less than even the smaller figure estimated here. This suggests that, if the PRI bought its electoral result, it must have done so with unaccounted-for funds. It is not inconceivable that the PRI should have access to such extra-official sums (the former PRI governor of Coahuila, for example, is involved in a debt and fraud scandal involving thousands of millions of pesos). Nevertheless, the magnitude of the requisite sums suggests that these should be difficult to conceal from authorities, should these wish to investigate the matter. This analysis suggests a dilemma for the parties accusing the PRI of vote buying: the graver the accusation, the more scandalous, but also the less feasible it would appear to be for the PRI to have pulled it off. The runner-up AMLO today said that 5 million votes were stolen (presumably by the PRI). As a matter of strategy, he might have been better off leveling the more modest accusation that the PRI bought just enough votes to overturn a PRD victory. Doing so, however, would have amounted to an admission that the result of a clean election – which the PRD claims to have won – was close. I emphasize that I have no information about whether the PRI, the PRD, or other parties did in fact buy votes, with what money, and on what scale. As an aside, from a theoretical perspective, it is interesting to note that, based on the internet videos, some voters appear to have been offended when discovering that they were offered too low a bribe in exchange for their vote. This is consistent with the idea that voter compliance in vote buying transactions might stem, at least in part, from normative or expressive behavior. Also, it suggests that a marginal change in the size of the individual bribe could have a non-linear effect on the effectiveness of vote buying efforts: a zero bribe could obtain more votes than a low, offensive one, which in turn could obtain fewer votes than a higher, non-offensive bribe. 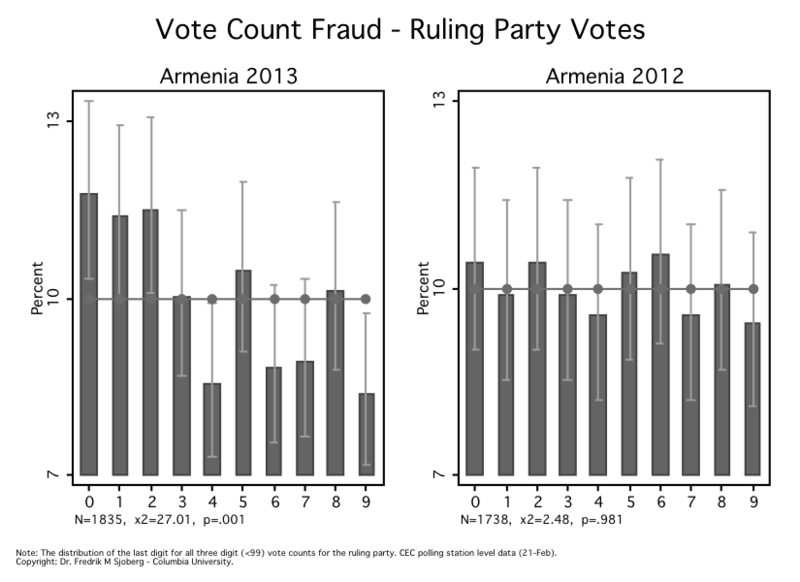 This previous Monkey cage guest post reported on new research from Fredrik Sjoberg suggesting that when Azerbaijani authorities installed webcams in some precincts in a recent election, it likely reduced overt forms of electoral fraud such as ballot stuffing while simultaneously increasing more subtle fraud such as falsification of precinct level results. An alternative explanation, however, might be that the Kremlin was seeking to avoid the mechanism by which fraud was revealed following the parliamentary elections, that is the use of individual of cell phones to capture visible fraud in polling places by polling workers who believed they were not being observed. If we assume that the motivation for local level officials to manipulate vote totals (e.g., to win the favor of the Kremlin) had not changed, then the webcams would provide a very powerful incentive for local officials to find other ways of manipulating results than the blatant forms of ballot stuffing that appeared online following the December parliamentary election. This appears to be exactly what happened in Azerbaijan, which in turn raises the very interesting question of whether the Russians knew what had happened in Azerbaijan when deciding to install the webcams in Russia. It also raises a very tricky question for anyone advocating for free and fair elections in countries with less than stellar records in this regard. Should webcams in polling stations be embraced as a technology that at the very least decreases one form of electoral fraud? Or perhaps should they be a cause for concern as a technology that is likely to replace a more easily observable (and easier to publicize) form of fraud—ballot stuffing—with one that is more subtle and less observable: the manipulation of precinct level results. Random digit tests are great for academics, but they don’t really compete with YouTube videos of ballot stuffing for convincing citizens of a country that their leaders have cheated. If we want to take this one step further, then we could argue for a variety of reasons (see this post by NYU political scientist Andrew Little here at The Monkey Cage for example) that by making local agents engage in a type of fraud that is less likely to be publicly discovered, webcams could perhaps make leaders more likely to engage in fraud than otherwise. This is a guest-post from Fredrik M Sjoberg, currently a Postdoctoral Scholar at NYU. The paper on which this post is based is here. In recent years, non-democratic rulers have surprisingly begun to embrace fraud-reducing technologies, like web cameras or transparent ballot boxes. Most recently Russia had webcams installed across the vast territory (see this earlier post at The Monkey Cage). Ukraine and Albania are also supposedly considering it. Little is known about the effects it has on reducing fraud. 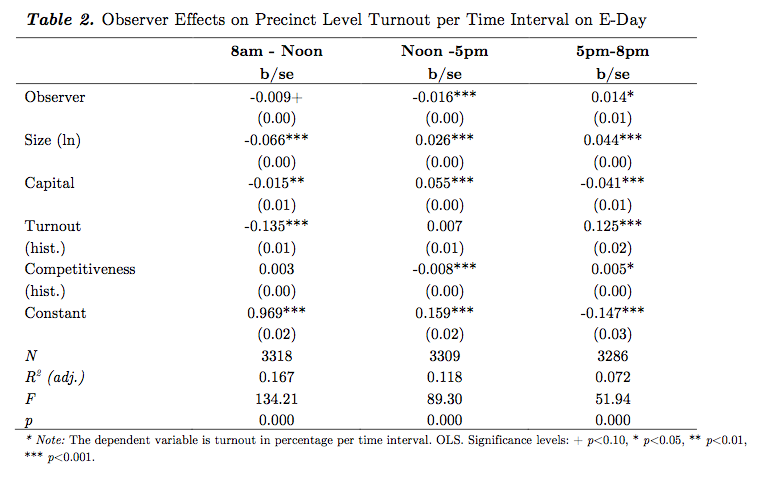 Yes, earlier studies have shown that turnout is reduced in the presence of webcams, but that the ruling party vote share is not necessarily affected (e.g., see here). However, relying solely on proxy measures like turnout and vote shares is problematic since both clearly depend on many different things, some of which might not be related to fraud at all. In any case we would need to account for historical turnout and vote share. With the help of new fraud identification techniques, I argue that the installation of web cameras in polling stations changes how fraud is conducted. First, we need to recognize that election fraud comes in different forms. Ballot box stuffing, multiple voting, and fabrication of vote are not necessarily affected equally by a fraud-reducing technology like webcams. Note: the data is here matched (CEM) based on size, district, historical turnout and competitiveness to account for biases in how the cameras were allocated. 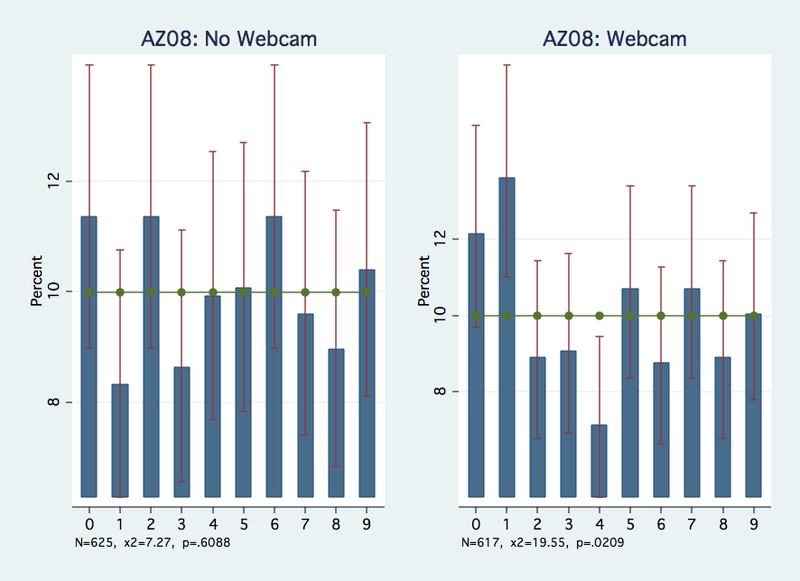 In precincts with no webcam there is no significant deviation, as indicated by a p value of .6088 (chi square goodness of fit test). In the monitored group, on the other hand, there is a deviation from the uniform, significant at the 5-percent level. This suggests that the officially reported vote totals were fabricated in precincts with a webcam.